This new edition of COLLOQUIAL ITALIAN has been revised and updated to make learning Italian easier and more enjoyable than ever before. Colloquial Norwegian is Specially written by an experienced teacher for self-study or class use, the course offers you a step-by-step approach to written and spoken Norwegian. No prior knowledge of the language is required. This new edition of the Bulgarian course for beginners has been completely rewritten to make learning the language easier and more enjoyable than ever before. Effective as either a primary or secondary textbook, "Intermediate Greek" fills a gap in the available materials by simultaneously providing a much-needed grammar review and an introduction to primary texts that the students will be working with in the second and third year of study. Through comprehensive exercises, extensive explanatory notes, and an ancillary website with additional materials, this text gives students the skills they need to become comfortable with advanced second-year literary material. 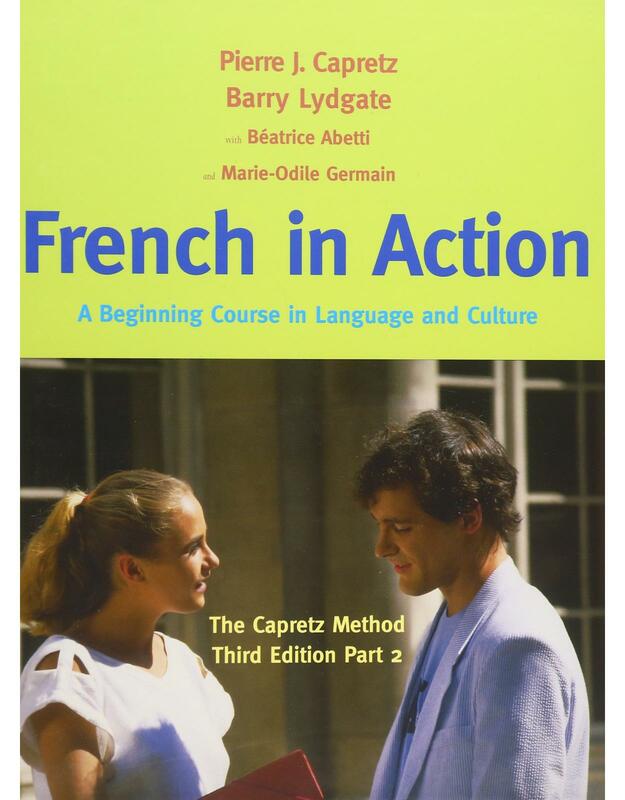 Since it was first published, "French in Action: A Beginning Course in Language and Culture – The Capretz Method" has been widely recognized in the field as a model for video-based foreign-language instructional materials. The third edition has been revised by Pierre Capretz and Barry Lydgate, and includes new, contemporary illustrations throughout and more relevant information for today's students in the Documents sections of each lesson. A completely new feature is a journal by the popular character Marie-Laure, who observes and humorously comments on the political, cultural, and technological changes in the world between 1985 and today. The new edition also incorporates more content about the entire Francophone world. 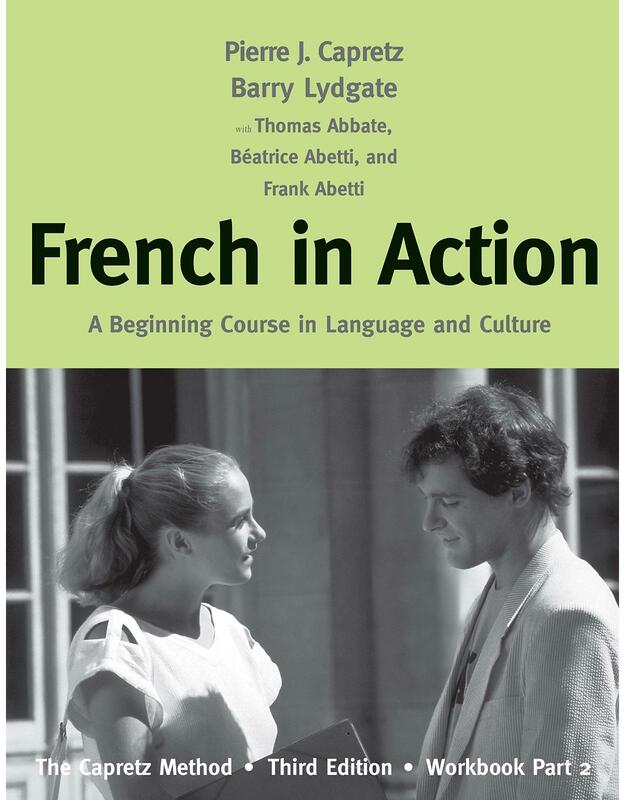 In use by hundreds of colleges, universities, and high schools, "French in Action" remains a powerful educational resource, and the third edition updates the course for a new generation of learners. Part 2 of the textbook and workbook guides students through the intermediate level of French language acquisition. Designed to build language ability while stimulating curiosity, "Learning Chinese" teaches intermediate conversational and literary skills in Mandarin. Conversational lessons are separated from lessons on reading and writing characters, allowing instructors to adapt the book to their students and to their course goals while exposing students to the geography, history, and cultures of China. Colloquial English is an easy-to-use course, specially written by an experienced teacher for self-study or class use. It teaches current spoken and written English, as used in the UK, through the medium of English itself. This course assumes a basic knowledge of English and is suitable for post-beginners, whether studying on their own or as part of a class. Features include: * full explanations and illustrations of grammatical terms * pronunciation guide to help with areas of particular difficulty * a variety of exercises to help learners to grow in confidence * full answer key. Accompanying audio material is available to purchase separately on CD/MP3 format, or comes included in the great value Colloquials Pack.